Ta-daa! 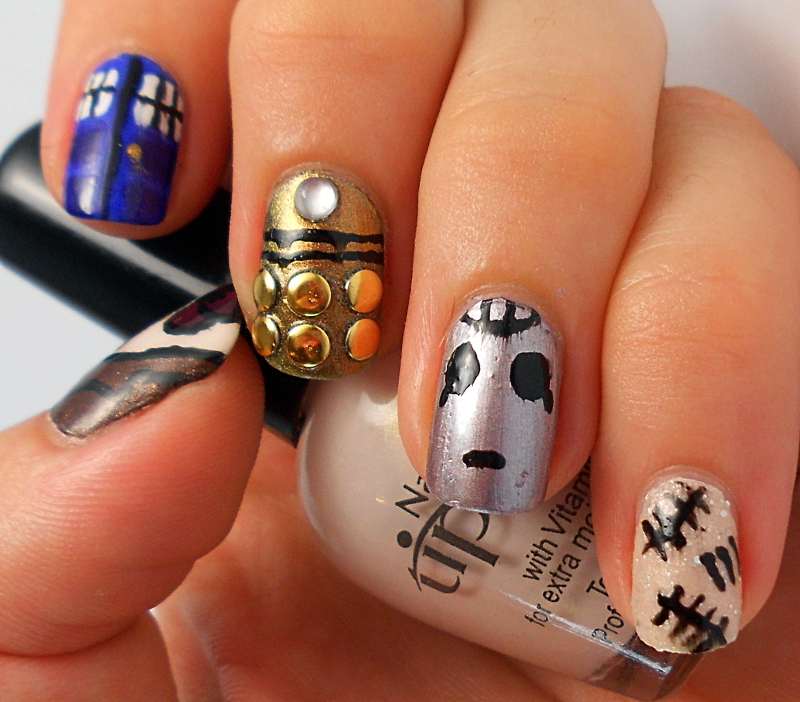 I am really proud of these, and if you’re a Whovian, it should be pretty obvious what’s going on on my nails. 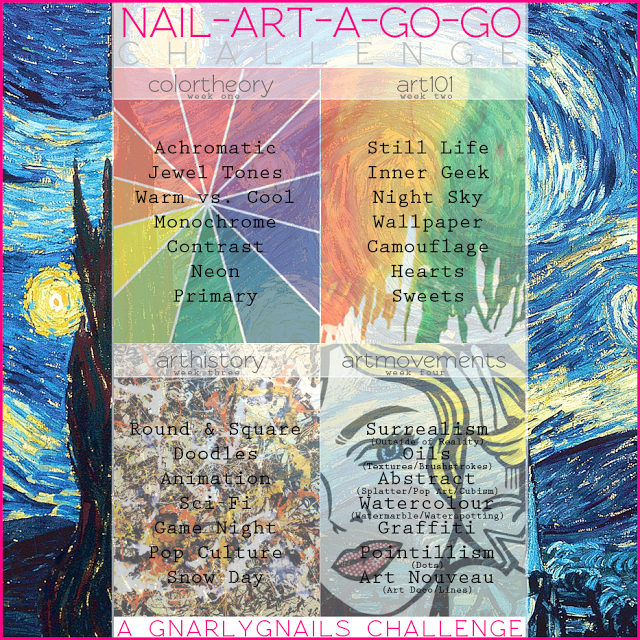 I’m not going to go into a whole lot of detail about the origins or meaning of each nail, I’ll just focus on the nail art – if you watch the show, you’ll get the nails. 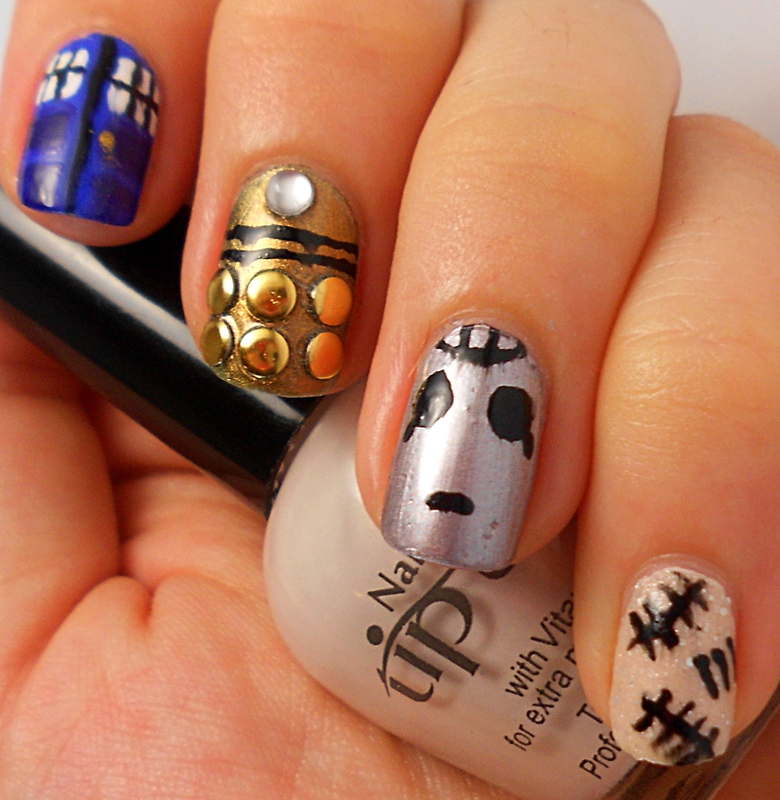 Dr Who nails have been done many times before, and I took inspiration from several different nail artists – this post by Gnarly Gnails for the Dalek and the Doctor’s suit; this post by Globe & Nail for the Cyberman and the Silence markings; and this post by Work/Play/Polish for the TARDIS. 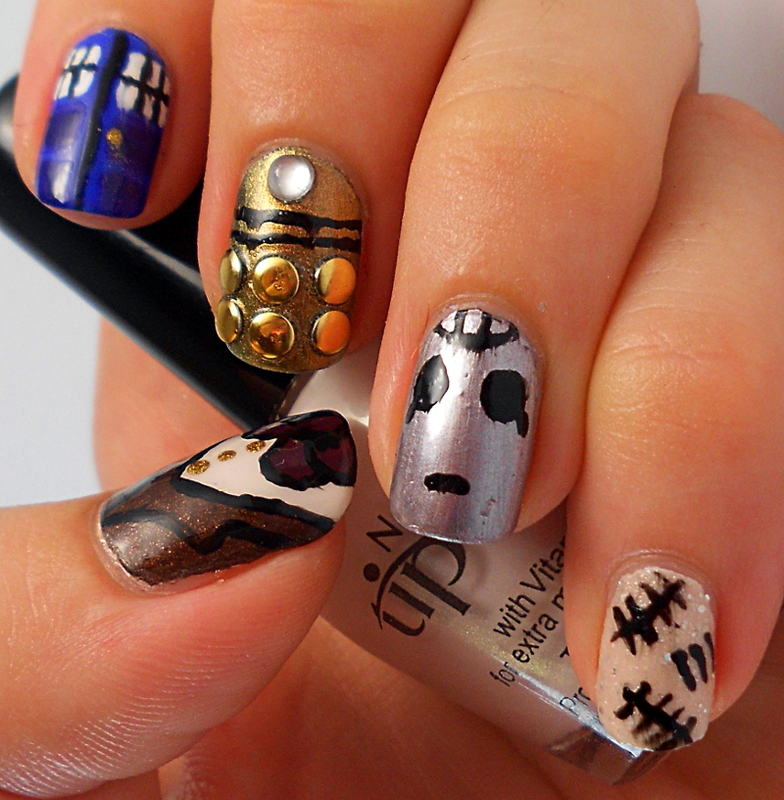 I have also done TARDIS nails once before on my blog – here – but it’s my first time with the rest of the Dr Who nail art. 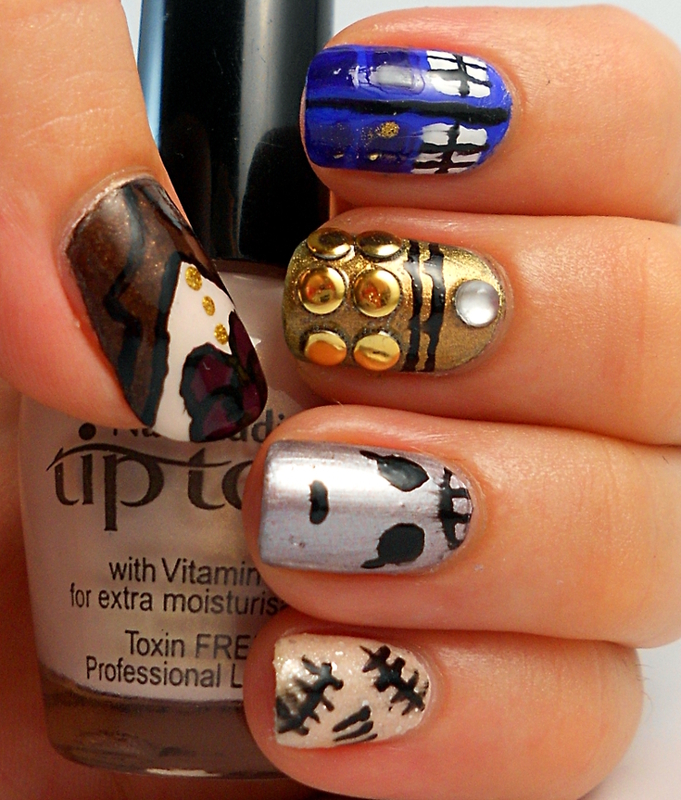 I used a ton of different polishes for this. 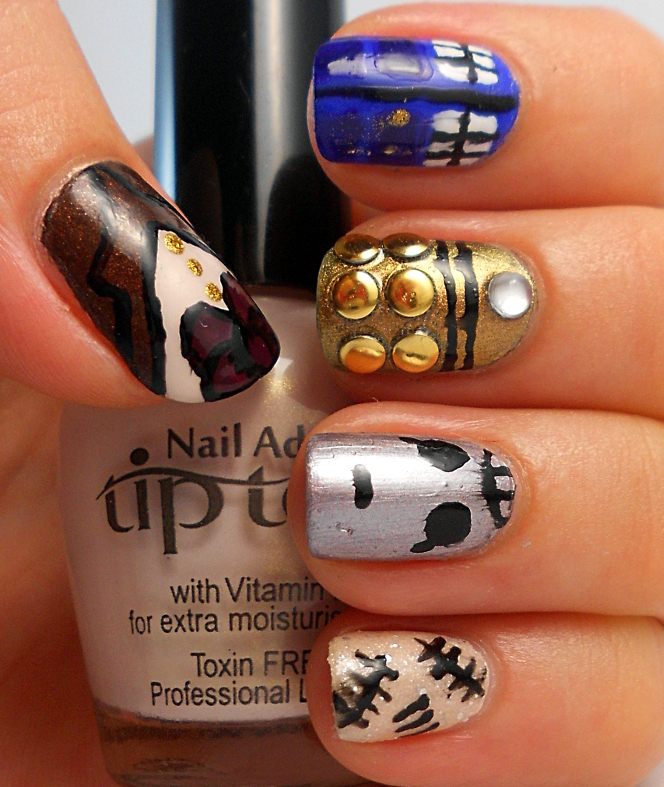 For the Doctor’s suit on my thumb, I used Nail Addict by Tip Top – Baby Cheeks for the shirt, a mixture of NYX Matte Chocolate and Essence Mister Rusty for the jacket, Tip Top Nail Chic Crushed Grapes for the bowtie, and Tip Top Nail Chic Gold Digger for the buttons. I outlined using Sinful Colors Black on Black. 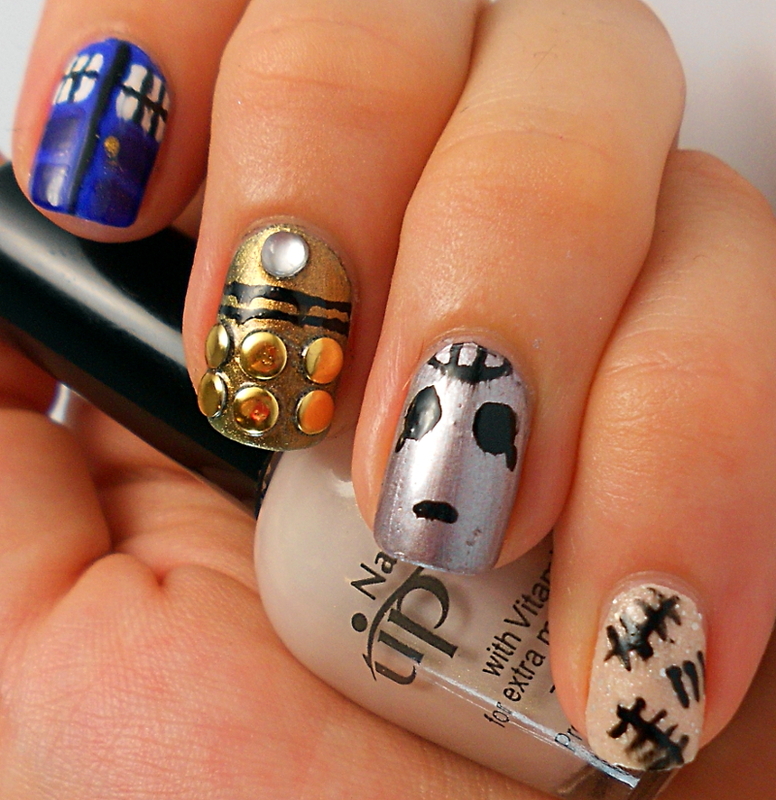 For the TARDIS on my index finger, I started with Nails Inc Baker Street, and did the darker blocks in Nails Inc Belgrave Place. The windows were done with Sinful Colors Snow Me White and the doorknob with Tip Top Nail Chic Gold Digger. Again, outlines were done using Sinful Colors Black on Black. The Dalek on my middle finger – which (smearing aside) I LOVE – was done using Catrice Genius in the Bottle as the main colour, with the studs and the rhinestone coming from the Born Pretty Store and black stripes in Sinful Colors Black on Black. Absolutely fantastic! I love these!